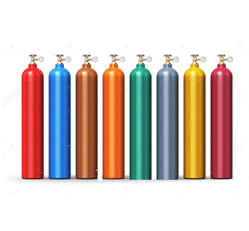 We are a leading Wholesale Trader of specialty gases from Mumbai, India. SF6 being a relatively slowly absorbed into the bloodstream, it is used to provide a long-term tamponade (plug) of a retinal hole in retinal detachment repair operations. This gas is also employed as a contrast agent for ultrasound imaging. We supply these gases most economically throughout India through our wide distribution network. Looking for Speciality Gases ?